The earth is expanding. All celestial bodies have magnetic fields that are circular or polar dependent on spin. The magnetic north- and south poles are produced by the earth’s spin. The magnetic poles are moving but are on the same spot at the same hour. Every galaxy has more or less a “black hole” that is not a hole at all. The universe is not expanding, there was never a “BIG BANG”. 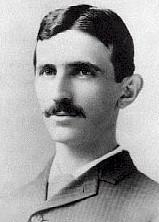 Electric power can be generated from eather. A new exciting discovery of the existence and behavior of aether leads to a new concept of the essence of aether, that is able to explain why the famous Michelson-Morley aether experiment of 1887 failed, explain and unify the forces of nature, explain why quantum theory works and even explain where the universe comes from, and last but not least, shows the gateway to the new source of energy of the future. In 1887, Albert Michelson and Edward Williams Morley [1,2], assuming that aether was uniform and at rest in space, wanted to measure the absolute motion of the earth in space. In order to do so, a special sensitive interferometer was pointed in various compass directions. The interferometer readings, however, indicated that the earth had no relative motion to the aether in any horizontal direction. The interpretation of the result of the experiment was that it would mean that the earth had no relative motion in space, which was obviously not the case. Michelson and Morley could not explain this mystery and, therefore, thought that their experiment had failed. Even today, many scientists believe that the Michelson-Morley aether experiment is probably the most important experiment that did not work, in the entire history of science. One of the explanations given by numerous physicists, including Albert Einstein, is that there is no such thing as aether at all. Until today, many mysterious forces and phenomena are still puzzling the minds of astronomers and physicists because of the unsolved mystery of the aether, that kept concealed the nature of mass, inertia, gravity, the powers of attraction and repulsion, magnetism, light, heat, electricity, superconductivity, twin stars, the source of energy of stars, volcanic and tectonic activities, black holes, and the expansion of the universe. The assumption of Michelson and Morley that aether was uniform and at rest in space, was a fundamental error [1,2]. Had Michelson and Morley pointed their interferometer in a vertical plane, they would have concluded that the earth is moving in a perpendicular direction to the surface of the earth into space. A worldwide verification of their experiment would have indicated that the earth is moving everywhere simultaneously in a vertical direction into space, which is, of course, not possible. The only conclusion therefore is: aether is constantly moving towards the earth in straight perpendicular lines, just like reversed rays of energy (Fig. 1). I have termed this phenomenon the “Charan effect.” The Charan effect is the cause of many sub-effects, as we shall discover further on. Consequent experiments and observations were so coherent that the existence of aether could not be ignored any longer, and the need of a concept or theory that would describe the essence, qualities and behavior of aether, was required for me to continue my own research in the field of quantum electrodynamics, which is my field of activity. A concept of the nature of aether, based on the Charan effect. The true nature of aether cannot be conceived by the human intellect since it cannot be perceived by human senses. However, conclusions may be drawn based on the actions of aether or on phenomena caused by aether actions that probably may be true or closer to the truth than present assumptions. In this view, I have developed the following theory with which almost all the phenomena mentioned earlier can be explained in a logical, coherent, and conclusive manner: Aether is a pure form of subtle, active energy, in which all the forces of nature are vested. Aether is the subtle energy tissue out of which matter has been made and is still being made and sustained. Subatomic interaction of aether and matter causes the phenomena of inertia, mass, gravity, cohesion and all the forces in nature. On its way to the center of cosmic systems such as galaxies, the solar system, and atoms, the density of aether increases, causing higher speeds of the solar planets and of the subatomic particles interacting with it. The Charan effect is fundamental for the movement, control, and equilibrium of the cosmos. Inertia would mean subatomic interaction with aether. Mass would mean concentration of aether, due to the Charan effect, which is mainly in the center of a subatomic particle or the center of a celestial body, because of the higher density (concentration) of aether there. Consequently, mass may be just a flow of aether, a flow of energy, or an absorption of aether, a phenomenon, an effect, a force. It also means that mass is not a function of velocity, as postulated by Albert Einstein, but a function of aether concentration (aether density), which subsequently causes the velocity of a particle or a celestial body. Mass is also an indication of the amount of aether that is being absorbed by the subatomic particle or the celestial body. The closer to the sun, the higher the speeds of the solar planets, because of the higher density of aether, caused by the Charan effect. 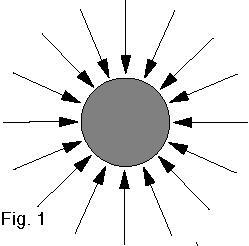 Gravity would mean obstruction of the flow of aether, a kind of “aether shadow” that bodies or particles cast upon each other; less energy on one side as a result of the Charan effect (Fig. 3). Binding energy or cohesion of matter would mean gravity on a molecular level, which means aether energy. Bending of light, caused by the Charan effect, may be the cause for all sorts of distortions if objects move between the eye of an observer and a source of light – twin stars? pulsars? (Fig. 2). Magnetism would be caused by the movement of matter in space (in aether) or of electrons in matter (in aether). The magnetic poles of spinning celestial bodies or of spinning subatomic particles are vested in aether (Fig. 4a, 4b, and 4c). Shift angles between magnetic axes and spin axes of celestial bodies are caused by the relative motion of the body to the aether motion (Fig. 5). Since aether is not at rest in space, nor uniform, measuring the shift angle and its position would not reveal the absolute movement of the body in space. There is no such thing as a fixed point in space; everything is moving, magnificently controlled by one law, vested in aether. The solar energy and the temperature of celestial bodies may be caused by the concentration of aether due to the Charan effect; the bigger the star, the higher the aether density and the higher the temperature. Volcanic and tectonic actions may be caused by the concentration of aether inside or at the center of the earth (Fig 6). The earth may be growing, its mass may be increasing and its temperature may be rising. Black holes may not be black holes at all, but gigantic concentration of masses in the center of galaxies, absorbing aether at such enormous speed, causing a Doppler shift of the light frequency far beyond the sensitivity of our eyes and therefore creating the impression of a black hole. The big bang, presumably causing the expansion of the universe, may be just an impression caused by the movement of aether towards the center of our galaxy. Most probably, there has never been such a thing as a big bang. The Doppler red shift of light is not only the foundation of the big bang theory, it is also the fundamental basis of measurements in astronomy. Now, if the movement of aether in space may cause a Doppler red shift, then a review of all the data in astronomy is due. Great scientists such as Nikola Tesla, Paul Dirac and Werner Heisenberg have predicted the introduction of a new source of energy, which they called:”electromagnetic quantum energy,” “zero-point energy” and also “vacuum-field energy,” which are different names for aether energy. Recently, I successfully concluded fundamental research in the field of aether energy conversion, which has resulted in a new technology for producing engines, generators and batteries, in an economical and technically feasible manner. The very high energy density of aether allows such a flexibility of the aether absorption/conversion units, that they can be integrated on a silicon chip, for powering the chip of a wrist watch or a computer, but can also meet the requirements of a 4,000 megawatt power plant. This means that soon a new source of energy will be powering automobiles, trains, ships, aircraft, tractors, electric power plants, homes, industries, portable computers, telephones, etc. The aether technology in which I am involved, is environmentally clean and unlimited. Its application is neither restricted nor limited by materials or resources. Once again in history, the cards are being shuffled anew and distributed in industry, like in the days of Thomas Alva Edison, and hopefully without too much turbulence at the international stock exchanges. Let us hope that the first application of aether energy will not be for military purposes, or for one nation to take advantage of other nations, as has so often been the case in history with epochal discoveries and inventions, but for the improvement of the conditions of humanity. A. A. Michelson, Am. J. Sci. 3rd ser., 22, 252-253 (1881), and Univ. of Chicago Press, 1902. A. A. Michelson & E. W. Morley, Am. J. Sci. 3rd ser., 34, 277 (1887). Prof. Zielinski conducts research in the field of quantum electrodynamics. He is an active member of the Russian Academy of Science and is ambassador of the International Scientists Club with its headquarters at St. Petersburg, Russia.